Will California Raise the Legal Smoking Age to 21? In the 1950s, smoking was the epitome of cool. Movie stars such as James Dean and Humphrey Bogart were never without a cigarette. Actress Audrey Hepburn made smoking look glamorous. Advertisements even encouraged pregnant women to smoke to reduce their baby’s birth weight. Back then, we didn’t know just how harmful it is to blow smoke into your lungs. Nowadays, we know that smoking causes a host of fatal diseases. The tobacco industry constantly loses customers when current customers quit or die from smoking-related illnesses. In order to survive, tobacco companies must attract a new generation of tobacco users, and that’s exactly who they target: the next generation. California intends to protect today’s youth with new legislation. California’s current smoking law prohibits the selling of tobacco to any child under 18 years old, but the California legislature gave final approval to bills that would raise the smoking age to 21 and regulate electronic cigarettes. It is now awaiting a signature from Gov. Jerry Brown. If it becomes law, California will be the second state alongside Hawaii to increase the smoking age to 21. More than 100 cities, including New York and Boston, have already raised the age limit. Tobacco use in the United States is established primarily during adolescence. Whether they use standard cigarettes, electronic cigarettes, or hookahs, statistics demonstrate that nearly 9 out of 10 cigarette smokers first tried smoking by age 18. Even more alarming, each day in the United States, more than 3,800 youth aged 18 or younger smoke their first cigarette. Tobacco companies are savvy and use flavorings in their products to make them more appealing to youth. Most adolescents 18 or younger reported using a flavored tobacco product within the last 30 days. The negative effects of smoking are staggering. Studies suggest if smoking continues at the current rate among youth in the U.S., 5.6 million of today’s Americans younger than 18 will die early from smoking-related illnesses. To give you further perspective, that’s about 1 out of every 13 Americans aged 17 or younger alive today. In spite of the evidence that something needs to be done to protect today’s youth from this silent killer, experts that oppose the legislation claim that raising the smoking age to reduce tobacco use among teens does not work. Specifically, experts say that there is no research to show that raising the smoking age to 21 will deter teenagers from smoking. Experts also claim that although the age increase may make it so less tobacco is sold to minors, there will be no effect in the ability of high school students to get cigarettes. They point to the existing evidence which demonstrate most people have tried their first cigarette before the legal age of 18. Others claim that raising the age limit to smoke takes away a fundamental right afforded to all adults. In the United States, one needs to be 18 to vote or fight for the country. For all intents and purposes, people are considered adults as soon as they turn 18. Adults should be able to make decisions on their own without interference of government regulations. Despite the naysayers, there is plenty of support for this legislation. Many believe that nicotine enslaves smokers in their addiction. 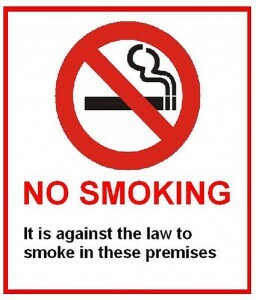 Most people are unable to quit smoking in spite of numerous attempts to quit. If teenagers are unable to buy tobacco legally, it reduces the chance that they will become addicted at a young age. Others hope that policies that reduce or delay initiation of smoking could have a large impact on public health. Raising the legal minimum purchase age of cigarettes from 18 to 21 could be an effective way to reduce youth smoking by making it harder for them to buy cigarettes. The legislation may also reduce the number of legal buyers teenagers encounter in their normal social circles, further limiting their exposure to tobacco products. Supporters think the legislation will prevent young people from dying prematurely because of lung cancer, stroke, emphysema, and heart disease. The American Academy of Pediatrics agree, claiming that premature deaths would decrease by 223,000, while lung cancer related deaths would decrease by approximately 50,000 per year. Studies also suggest that medical cost savings far outweigh costs incurred through enforcement or checking IDs. Individual retailers incur the cost of checking IDs and the state incurs costs on enforcement, but overall states save in reduced health care expenditures. « 140-Character Copyright: Are Tweets Subject to Copyright Protection?